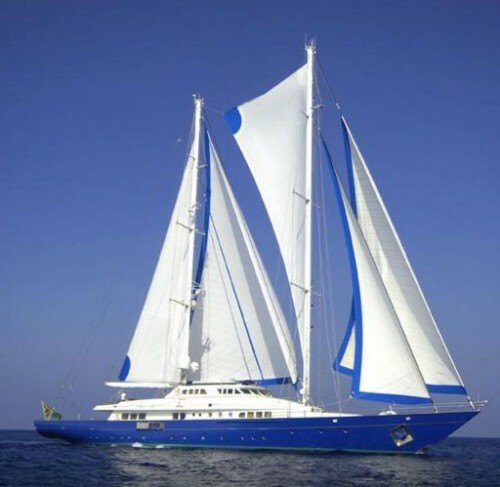 Blue Gold can luxuriously accommodate 8 guests in four spacious staterooms, plus a fifth comfortable cabin for young people or employees for a total of 10 guests. For families, two twin cabins have Pullmans and can accommodate three persons each. Maximum capacity is 12 guests (only with Captain’s approval). All cabins include spacious bathrooms with ample storage, hot showers and full bathtubs; each bathroom has porthole windows. The Master Suite, conveniently located on the Main Deck, is elegantly decorated and has a king-size bed, office area and two walk-in closets. Additionally, the Master Suite is equipped with a video conference system, satellite TV, VCR/CD player, state of the art computer and internet connection via satellite. The spacious main salon combines elegance, style and comfortable seating for 16. It is equipped with the latest state-of-the-art entertainment and sound systems (including karaoke). Air-conditioning throughout the ship provides a welcoming atmosphere. Description : Capelli Rib 6M 150 hp Yamaha, Zodiac 25 hp Yamaha, 2x Yamaha jet skis, 2x underwater scooters, dive gear 8 pers, 2 dive compressors any many other water toys. 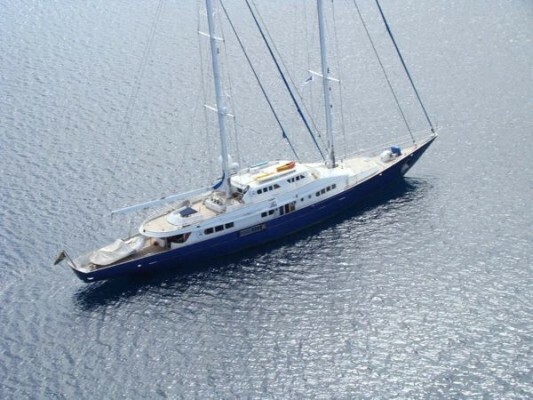 A fantastic opportunity to purchase a high quality and unique Mega Sail Yacht in perfect condition under Lloyds certificate against a very reasonable price and willing to sell! Ready for new adventures.